The hashtag (#) has become an important tool in a marketing or advertising campaign, and for social media marketing in general. Hashtags, once the domain of the telephone, now have a place on most popular social networks. The hashtag is likely the most popular means of categorizing content on social media. It makes your own content discoverable and allows you to find relevant content from other people and businesses. The hashtag also allows you to connect with and engage social media users based on a common theme or interest. Hashtags are such a prominent part of culture today that it’s rare to find anyone who doesn’t know what they are. Yet many people still don’t understand how to use hashtags. Knowing how to use hashtags is fundamental to using social media, so here are a few best practices we’ve collected and use. It’s been proven that hashtags work, with posts with the correct number and kinds of tags getting up to 5 times the engagement of one without. Do tailor hashtags to the social network you’re using to communicate your posts. 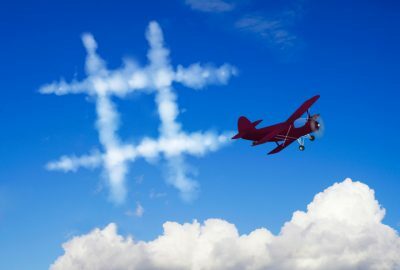 While hashtags on all social networks have the same fundamental purpose of content tagging and discovery, the use of hashtags still varies by network. Do research on the proper way to use them for that particular network. Most networks will have guides for hashtag selection and use. Hashtags on Instagram are often more focused on description of the content and are a crucial part of the Instagram eco-system. Hashtags on Twitter however, tend to be more focused on a topic of conversation, or a group of people (a chat for example). Like on Twitter, a Facebook hashtag ties the conversations of different users into one stream. But unlike Twitter and Instagram, where many people have public accounts and their posts can be seen by anyone, most people’s Facebook posts and accounts are private. This means that even if individuals are using hashtags, they aren’t searchable. As a result, the hashtags you can search for on Facebook tend to be published by influencers, brands, and publishers, rather than by individuals. LinkedIn was slow to include hashtags on their platform as they weren’t searchable, however you can now use a hashtag in a post as of a few months ago. Pinterest, Google+ and Tumblr all have certain protocols for use of hashtags. Do research on the proper way to use them for that particular network. Most social sites will have guides for hashtag selection and use. Do take time to discover the most popular, most relevant or the official hashtag on a specific subject for each network. For instance, if you want to join in on the annual conversation around Super Bowl ads on Twitter, do a quick search to see what’s being used so your #SuperBowAds post can be included in the conversation and so that you can follow others as well. You can check for trends or alternatives using tools like hashtagify. Do create your own hashtags. Create a relevant hashtag that has not yet been used to promote an event or special promotional campaign. Include the hashtag in all your promotional materials and marketing as relevant, from TV advertising to email, from trade shows to contests. Do be specific with your hashtags. Just as with keywords you want to really narrow in on your topic by being very specific as opposed to a generic hashtag. Hashtags that are too generic will not generate many results. Use hashtags that are very memorable, unique and will develop some interest. Even adding a little humor or quirkiness can make the difference. When you come up with a hashtag do a search for it to see if it is already in use. The possibility exists that it could already be in use for an entirely different topic. It could be a touchy and embarrassing situation if you used a hashtag that was already in use for something negative or a tragic event of some kind. This is a common mistake by many users. Hashtags should be short and sweet, not long and hard to read. Hashtags that include multiple words strung together or an entire thought are not effective and lack readability. And besides, long hashtags take up the allotted number of characters allowed in posts. Hashtagging every word in a post looks sloppy and can be annoying for users to read. The point of using a hashtag is to tag your post with a particular thought or topic – by hashtagging every word in your tweet, you aren’t effectively joining conversations, and your posts look unprofessional. Don’t use spaces in hashtags. If you want to hashtag two or more words together, do not put a space between them, this will result in only tagging the first word in your post and will look amateur. Don’t use punctuation marks of any kind. Adding punctuation marks or special characters will make your hashtag ineffective. You also do not want to use all capital letters. You can use numbers as they will be effective within your hashtag. A combination of numbers and letters are okay, but numbers by themselves don’t work. Don’t add every trending hashtag you see to your post and don’t use unrelated tags to get noticed. That is hashtag spamming, and it’s a great way to lose followers and credibility fast. The key is to use hashtags sparingly and only when they add value. Use them too much, and they can be confusing, frustrating, and just plain annoying.